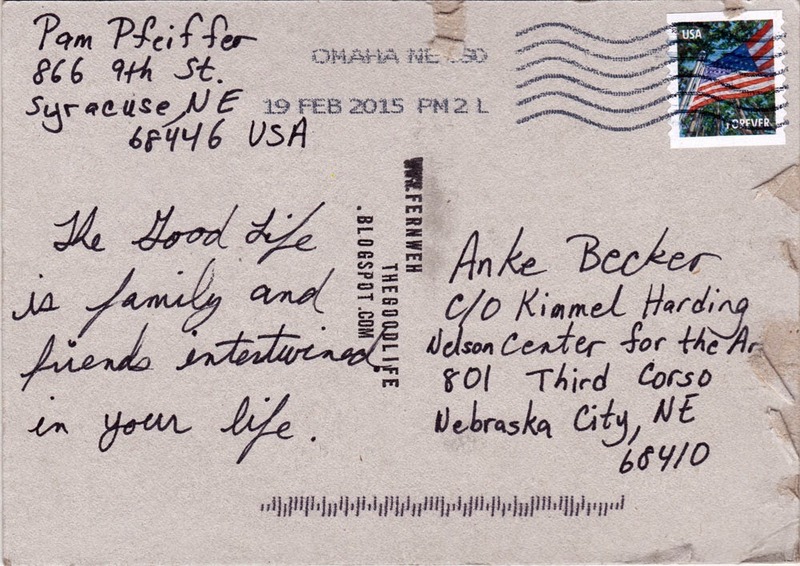 A postcard from PAM PFEIFFER sent from Nebraska City. Pam is an art instructor at a public school. I met her at the ArtCadre, a meeting of art teachers from rural Nebraska. It took place at the KHN Center for the Arts on February 18, 2015. In this context I had the chance to do a presentation of my work followed by a workshop. I handed out blank cardboard cards, asking all teachers to create their very own interpretation of the "good life". 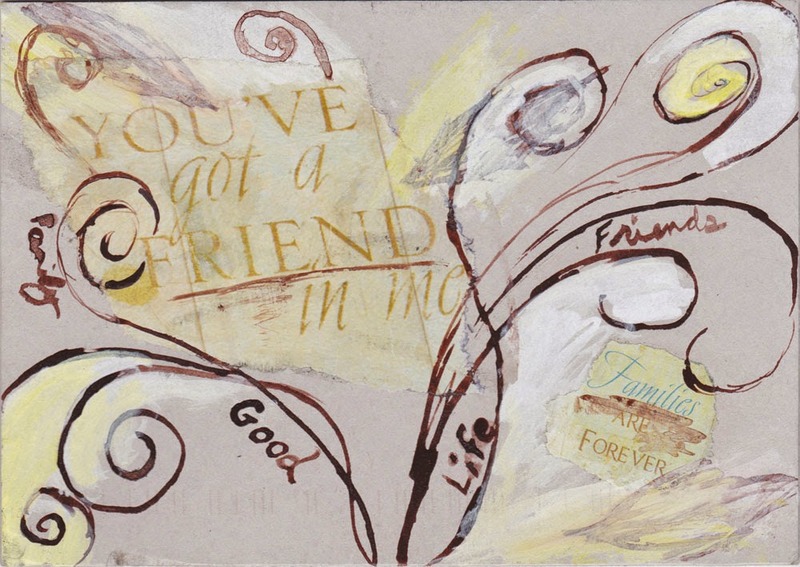 Thank you, Pam, for your nice "good life" postcard and your participation at the ArtCadre!